Communication is a vital part of our lives. We use words to convey our opinions and thoughts in special ways. Often, words are used to evoke thought or an emotional response. People and friends often send me poems and many of them I quite like. This is a showcase for many of the poems that have been sent to me. Enjoy. Watashino Kokoro anata desu.. My heart of hearts is yours.. This lovely poem was sent by Shannon. they're hoping it will come one day and take away their sorrow. and it will never come one day and take away their fear. not many have accomplished to relate that tomorrow is forever. it always turns into the next day that will dry up all their tears. and today's tomorrow very soon will once be wrong again. and that is what is causing a lot of there confusion. is that the day that is today was once another tomorrow. "For everyone that relies on the hope of tomorrow." together in love as they fade away. one being and dreams is the passenge to ones' heaven in out last times. for I am a wandering soul for someone to see. shall the pain go away. Makes me complete and whole! The tears of " I miss you "
The smiles of " Always and forever "
The blossoming of gentle love. She is Gentle and her Heart has an Infinite Capacity to Love. and just as Quickly Angers at any Affront to her Person or a Friend. Honest in her Relationships and Passionate in her Life. Her Eyes Flash in Anger, Sparkle in Laughter and Tear in Sorrow. She has felt Physical and Emotional Pain and needs no More. Yet still she Appreciates the Beauty of it's Splendor. and States She's not a Morning Person. She possesses a Calm that Radiates to Others. Her Movements Lithe. Her Features Elven. Her Eyes Hazel: When Happy Light as Mist, When Sad Dark as Night. or raised in a Coif of Burnished Bronze. But should for her Accomplishments are Remarkable. Her Amusement lights up a Room. Her Laughter is Intoxicating, Lilting and Honest. Catching the Breath and Wishing you could hold her Pleasure forever in your own Heart. If caught in her Eyes you feel........Complete. Passion and Longing for She who brings the Smooth Crystal to her Lips. and Passions Burning Ember becomes the Fires Of Deepest Desire. and the Magical Ingredient to Complete a Lifetime's Journey. I think Not. What do You See? Dispassionate, Lone, Fearful of the Pains of Life. and Gently Chases away the Night. in these Clumsy Tools we call words. Ones Gaze does not need to be Returned to be a Gaze. It Illuminates, casts away Shadows in a search for Truth. Enveloped in their Embrace I feel Lost? Empowered? where it Blends with the Rains of Past Falling. as I Push the Shutter Open and Shut. casting the Shadows away to their Invisible Realms. 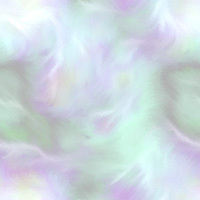 Peacefully Relaxed in Innocent's Caress. is an Overwealming Wave that crashes against the Shore. I Extend my Hand in want, and stay it in Love. so the Moment would Last Just a Second More. broken as you open your Eyes and Smile. Formed of Dirt and Water. Clay molded, Shaped into a Vessel. A Jar containing Untold Treasures. Gold valued by it's Weight. Diamonds brilliant to the Eye. The Vase we travel in can be of any Shape. But what of it's Essance? It's True Value is not the Shell. Look into the Eyes of that One. See a Small Splinter of their Secret Cargo. Feel the Lonelyness they Carry. The Love they wish to Share. Compassion, Desire, Wishes, Dream, Fears. The Finite Holder is Infinite in it's Capacity. and Tries to Live in the Harsh Enviornment. Maybe it Blossoms and is Shared. Magic held in a Lump of Clay. Blood Spilled is Horror's Delight. All Exist in the Heart of Man. What one has never known one never misses. Passion thought but Lust Reward. A Gentle Touch that Caresses the Soul. Where none has touched before. Light so Brilliant casts away Shadow. Darkness Fled the Truth Now Seen. Longing for Which I Discovered. It's Just an Old Shirt. Frayed, Dirty Collar. of Tobaccaco from the Dance we went to Last Night. Intense for Just all too short a Moment. They Possess the Thorns like the Pain of Longing. Heavy as a Lover's Kiss. like the Delicate Layers of Discovery in Learning of Another. as appreciation until it's beyond our Reach. Red of Blood, willing to be Spilled in Protection of the Other. Stem supporting the Whole in Unity. Blooming as Happiness, Open and Content. See it as One, Why then a Dozen? Travelers on this Earthly Realm. Some hold Name, Others do not. No Wall Stops them, No Door a Bar. Touch in Passing, No Anger Sent. Angel's Kiss upon thy Brow. These incredible poems were submitted by Stephen Duelgrey. 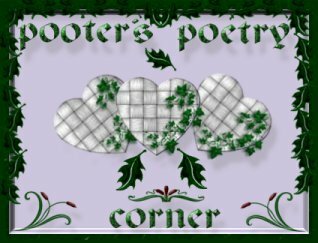 This Poetry Webring site owned by pooter.